Precious metals built on Friday’s gains during the overnight hours, but their advances were uneven as well as uncertain as the hour of NY’s opening approached. The US dollar was poised to reach a five-week low against the yen, while trading just above the 78.05 mark on the trade-weighted index. Crude oil continued a few notches above the $74-per-barrel marker, while the euro appeared comfortably resting near $1.43 on the price tickers this morning. Against this background, the spot metals markets in New York started off in mixed fashion, as well. 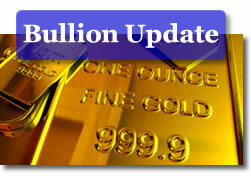 Gold opened with a $1.90 gain, quoted at $955.60 per ounce. Silver continued to outperform, advancing 28-cents to start at $14.43 an ounce. Platinum fell $8 following the indefinite postponement of the threatened labor action against Impala. Improved wage offers were cited for the striking of the strike. Palladium rose $1 to open at $280 per ounce this morning. We wrote this Monday morning that "unless the gold market receives fresh news on the bullish front, the risk of easing back towards the $925 remains present." Adding the t-i-c "This is (likely) because we sent a price ‘up’ prognosis for the week in gold to our friends at the weekly Bloomberg survey…" Well, what do you know… we were more wrong than we thought for this first trading day of the week. Monday’s subsequent price action indeed, not only thwarted gold’s advance to the area beyond $955, but erased Friday’s robust gains as well. At last check, the yellow metal was down $11.40 quoted at $942.30 on the bid side. The gold market turned lower despite a new high in oil for the year ($74.50 per barrel). The stronger dollar also contributed to the slowing in the yellow metal’s progress. Or, we could just say, the stronger dollar did it. Analysts remain fence-sitters when it comes to the dollar giving up the ghost or reviving in the style it did last fall. Silver players initially chose not take cues from today’s background conditions and focused instead on the lingering optimism surrounding the global recovery. But the white metal also fell victim to heavy profit-taking this afternoon, losing all of its gaining cents and turning negative at last check – quoted at $14.14 per ounce. Platinum added to its earlier losses, dropping $20 to $1235.00 and palladium still augmented earlier gains, rising $3 to $282.00 per ounce. The addition of nearly 32,000 ounces to the SPDR gold ETF’s balances -following a prolonged period of inactivity-might not be sufficient ammo in order to stir the bulls. Recent stats from the World Gold Council reveal that ETF inflows fell to 56.7 tonnes in Q2. Compare that to the 465.10 tonnes that were added during Q1. Eighty-eight percent short of a comparison. The same bag of assorted good and not-so-good news greeted market participants as they returned to their trading posts and positions for this last week of August. As such, those who did return to their screens were woefully thin in numbers as the powerful lure of late summer vacations is still exerting the primary influence here. – Premier Wen of China pulled a big alarm bell out of his bag and flatly warned against ‘blind optimism’ as regards economic growth in his country. Said he: "The foundation of economic recovery is not stable, not firm, and not balanced, and we certainly cannot be blindly optimistic." Something that the Chinese stock market’s (year-to-almost-date) marathon has certainly not been reflecting, despite last week’s difficulties. – Eurozone industrial orders took a 3.1% forward leap, surprising economists who had expected a rise of about half that magnitude. Never mind what kind of (stimulus) smoke and (car scrapping program) mirrors were employed to get such results. Growth is growth. Question is how long-lasting it might be. ECB officials warned -in Premier Wen’s style-that none of this means "at all that we do not have a very bumpy road ahead of us." Although many see no bumps in the road for commodities going forward, the current sentiment-based climate in other (golden and silvery) parts of the commodity sector reveals that there remain some skeptics among the perma-mega-bulls. They stand their ground despite incessant calls for fresh new highs that are supposed to materialize in gold and silver as far as their counterparts are concerned. "With equities on the turn and potentially headed for an autumnal slump if some ultra bears are to be believed, the primary beneficiary will be the US dollar. Julian Jessop, chief international economist at Capital Economics, says that he continues to expect a stronger US dollar to drag gold down to $850 per ounce by year-end. In turn, analysts at GoldEssential.com have dissected the recent COT gold reports and have "come to the conclusion that current price levels are still finding their origin in excessive long positioning and thin market participation. As such, we feel that a sustained run higher ($1,000+) is still very unlikely and that any additional strength eventually has a high risk of running into extended consolidation, with that latter still carrying the capacity to send prices significantly lower." None of the above, of course, will stop mining firm execs from being as bullish as they have ever been about that which they produce. Surprise. To wit: "Silver prices will jump 29 percent by the end of the year as soaring U.S. debt spurs inflation, said Dennis Wheeler, the chief executive officer of Coeur d’Alene Mines Corp., the largest U.S. producer of the metal. The metal will reach $18 an ounce with supplies little changed and demand buoyed by purchases from exchange-traded funds, he said." Speaking of exchange-traded funds, there is certainly something out there with the potential to bring some rain on the commodities’ parade. We have learned that "the new and anticipated limits by the Commodity Futures Trading Commission have so far affected exchange-traded products including the largest agricultural, natural gas and broad-based commodity funds in the U.S. "Clearly, this is a new level regulation aimed at these funds," said Bradley Kay, an ETF analyst at Morningstar Inc. in Chicago. "Individual investors no longer have a safe way to play the commodities market." Exchange-traded funds have drawn increase scrutiny from the CFTC amid concern that the funds are distorting commodity prices. "What it could mean to commodity ETFs down the line is still up in the air," said Tom Lydon, president and chief executive officer of Global Trends Investments and editor of ETF Trends, in an e-mail today. "It’s too soon to say if any are going to just close because of this." For example, Barclays Bank PLC today stopped selling new shares of its iPath natural gas exchange-traded notes, the latest of $10 billion worth of exchange-traded products squeezed by potential limits on commodity speculation. The CFTC, on Aug. 19, announced that two Deutsche Bank AG PowerShares commodity funds, worth a total of $5.8 billion, will no longer be exempt from limits on corn and wheat. The $10 billion worth of ETFs and ETNs already feeling the squeeze from the commission may not be the last, according to Barclays." We close today on an Op-Ed flavoured note. We’ve chosen a piece that is seemingly unrelated to the current discourse, but it really is not. There has been much short-changing of, and whining about, America, its present state, its leadership, its currency, etc. Rage is all the rage. Gut-level and not fact-based rage, at that. "The United States, it is said, has lost its manufacturing base." "We no longer produce anything. We import all our goods from China." "China is a manufacturing giant and America is a dying economy." 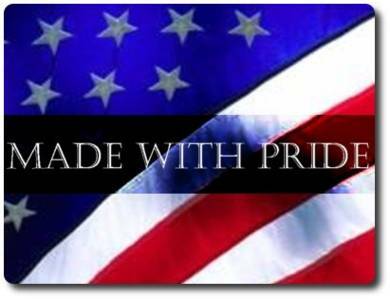 The fact is that The US produces 20% of the world’s manufactured goods. It is the number one manufacturer in the world. China produces 12%. That’s right we produce almost twice what China does. Off the top of my head, here is some of what we produce. We feed most of the world, so our agriculture industry is second to none. If you want to mass produce agriculture, you need machinery. Harvester and John Deere produce most of the farm equipment in the world. If you want the best in mining, logging, and general earth moving equipment to dig out those precious commodities the world is clamoring for now-a-days, you need to go to Caterpillar. Even though the steel industry is in decline the specialty steel industry competes nicely worldwide, led by Nucor Steel. Boeing dominates the air, together with several other manufacturers in the Aerospace industry. No nation comes anywhere close to our defense manufacturing capacity. We supply the world with defense technology and manufactured weapons. America dominates the computer and telecommunications industry, led by Apple, IBM, Microsoft, Hewlett Packard, and Intel to name just a few. Levis are the most popular apparel brand name in the world. If you want oil, you need US technology to get it out of the ground. Almost all oil equipment is provided by US oil companies led by Halliburton, which supplies equipment to more than 70 countries around the world. If you want the best in health care, you must have US medical devices from medical instruments to MRI machines. They are unmatched in the world. From turbines to TV’s, from household appliances to power plants, General Electric (GE) is plugged into businesses that have shaped the modern world. To say that we no longer produce anything is absurd. And yet, you hear it all the time. The US leads the world in production. Japan, China, Canada, Mexico, and Europe, fall far behind the US, in that order. The Carlisle Company’s CEO was interviewed on CNBC last week. Carlisle has chosen to close its tire manufacturing plant in China and bring all of its American employees back home. He was asked "why?" The reason he gave was that US workers are more productive than the Chinese. "They produce a better product and are less expensive than Chinese workers." How is this possible? The average Chinese worker makes 300 dollars per year! The answer according to Carlisle is that the US worker is more educated, therefore, more productive. With the proper use of new machinery and technology Americans produce more per man hour than any other worker in the world including the Chinese. They also produce a better quality product according to Carlisle. And quality is how you gain and keep your market. And then there’s the Chinese government to deal with. The bureaucracy is a nightmare and is time consuming and expensive in terms of lost productivity. When all was said and done, he said, the experiment to open up in China failed. This is only one example of why America is so competitive – less bureaucracy, better tools, and higher education. One can only wonder how much the US would be capable of exporting if allowed to. The only reason we constantly run trade deficits is that we consume more than we produce. But we still export in total dollar amounts about the same as China. We just don’t export more than we import from China, or Europe, or Japan for that matter. The reason? Because those governments are protectionist and will not allow their citizens to buy American goods without permission. If we had free trade in the world, there is no doubt that American exports would soar and we would lead all nations in exports and be a surplus nation. The fact is, when it comes to manufacturing nobody does it better. After all, it is America where most new products originate from. America innovated its way out of the agricultural economy by creating the manufacturing economy. And we innovated our way out of the manufacturing economy and into the new high-tech economy we enjoy today. America is the Fountainhead of innovation in the world and has been for over two hundred years. It is imperative that we preserve and protect that tradition." And that’s how Paul Nathan sees it on this late, anxiously optimistic, and still uncertain summer day in 2008. The year after the sky fell. Check out CoinNews market resources at Live Bullion Spots, the Silver Calculator, U.S. Mint Collector Bullion Price Guide, and the Inflation Data.